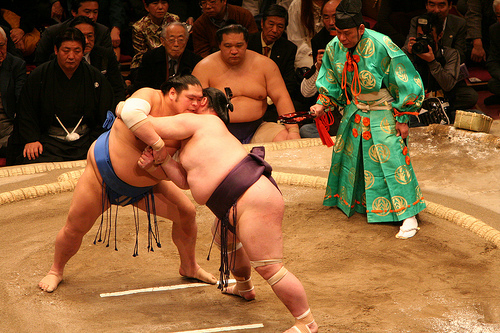 Sumo is a Japanese traditional sport where two wrestlers grapple with each other in a circle. Since this sport involves Japanese traditional rituals and rules, the most audiences are middle aged and elderly people; however, to gain young audiences, a new attempt has been done by the Japan Sumo Association, which operates and controls professional sumo wrestling in Japan under the jurisdiction of the Japanese Ministry of Education, Culture, Sports, Science and Technology. Yes, they made official characters for the first time since it was founded 85 years ago. They are called “Hakkiyoi! 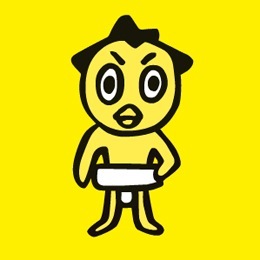 Sekitori-kun.” “Hekkiyoi!” means “Ready!” and Sekitori is the first rank of sumo. They are birds because “tori” also means bird in Japanese. This picture shows the relationships of the characters. 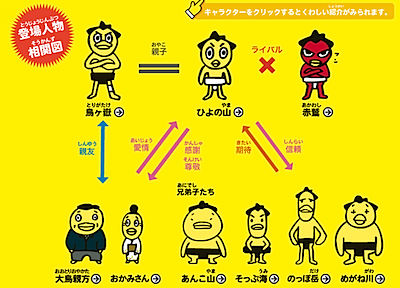 Although, it is not unusual that government related organization having official cartoon character in Japan, it is still strange to see those cute characters with big, serious sumo wrestlers! There are “Hakkiyoi! Sekitori-kun” manga (Japanese) in the official website.